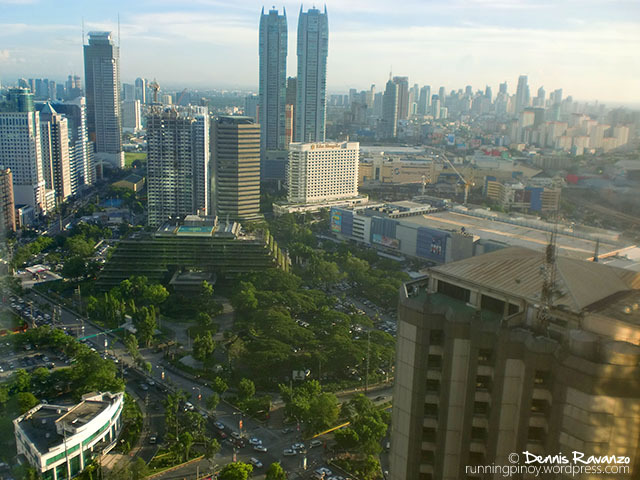 Three years ago was when I had a career “overhaul.” It was the time that I first worked in one of the country’s financial center, Ortigas Center, with a Forbes 500 company. Little did I know then that this revamp would not only affect my income, but would also my lifestyle. A few months into my new job I was introduced to my new love, running. And the rest was history. Three years hence, it’s time to pack my bags and move yet again. 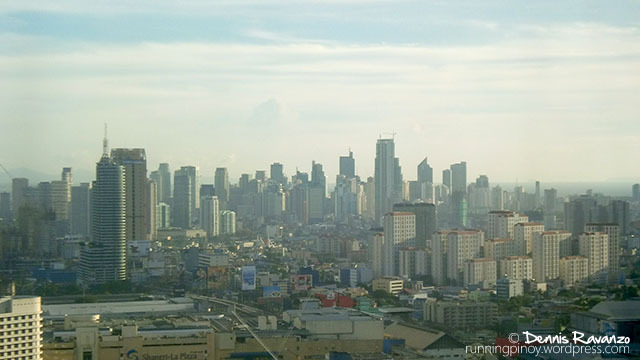 This time though, to the inevitable, Makati City, the Philippines’ main business district. I was hoping I need not work this far south as I live north of the Metro, in Quezon City, but it’s a natural progression, I guess. It was a very difficult goodbye. It wasn’t because work was difficult—it was because I had so much fun! 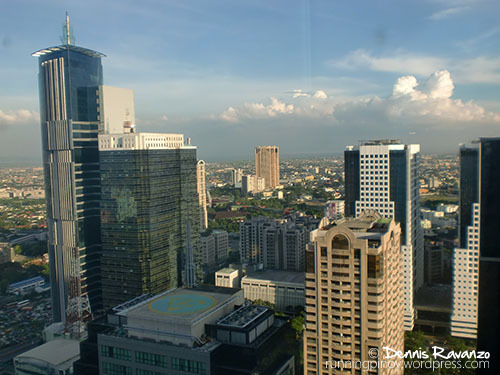 Those who had worked or are currently working in Ortigas Center will attest to how convenient everything is in Ortigas. 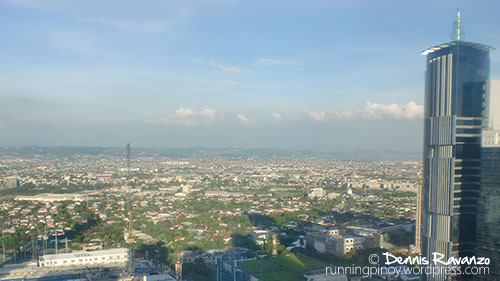 There’s a convenience store practically in every building, countless food choices (many of which are open 24/7), six malls (Robinson’s Galleria, The Podium, SM Megamall, Shangri-la Mall, Starmall, and Greenfield District), and best of all excellent running routes! Even my gym has two branches in the area, one of which is located at a penthouse suite. Of course I can’t forget the oval tracks of the PSC Arena. It was a convenient and happy lifestyle that I had—one that I honestly am not willing to give up, at least not yet. All good things come to an end—and life goes on. 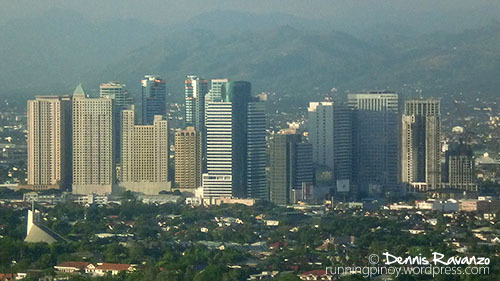 As much as I hate to bid farewell to my beloved Ortigas, I really have to say goodbye for now. As I close this chapter of my life, I now open a new one. 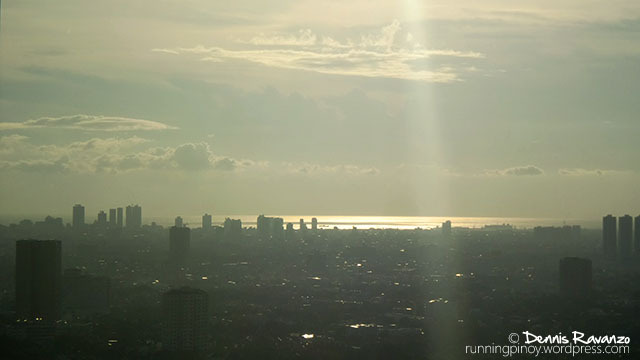 What adventures await me in Makati is beyond my comprehension—but I hope I rediscover my semi-retired passion for running while I’m at it!